What a dumbass. Looks like the books are hot now and sold out. I'm worried this guy isn't all there, judging by that Facebook message. Unfortunately, I feel that this whole controversy will mostly just fan the flames of anti-Muslim sentiment. We'll Marvel pulled them, I think, digitally as well. I have this on order with dcbs and I'm wondering if I'll get a copy or not. Marvel isn't pulling the books. Any future reprints will omit the offending bits. Speculators are nabbing the books from the shelves however, they're still available online for cover price. Syaf's art will still be in Issues #2 and 3. I'm sure Marvel is combing through all his art now. 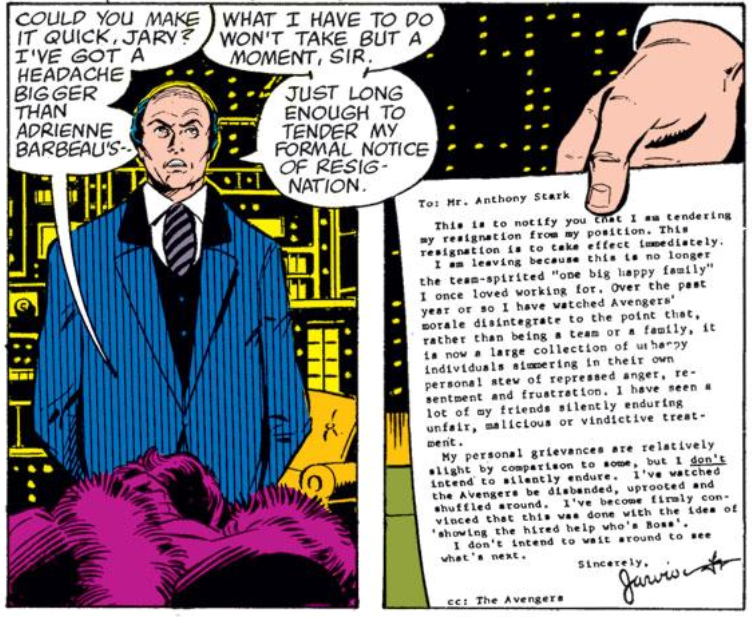 Still not as awesome as Jarvis' resignation letter in Iron Man #127. This is one case where their dumb biweekly shipping, necessitating rotating artists, actually worked in their favor. The other XMen book will have a new artist every single issue. I'm just bitter because I preorder all my books, wanted to get back into XMen and ordered issue one of both series, not knowing that issue two was solicited at the same time. So the next month comes around, I realized I missed an issue, and dropped both books. Michelinie actually apologized in the letters column a few issues later as neither he nor Layton did it. I should look in the omnibus to see if they edited it out. Or Van Sciver putting subliminal messages in New XMen 118. I don't get it. Why would Marvel be mad about that Jarvis resignation. I'm really bad with my Marvel history. X-Men Gold #2 was delayed a week (to this week). I wonder what they found lurking in Syaf's art?